Service fee: Fees vary depending on the type of service you require, the number of persons attending (e.g. individual, couples, family), and the location and duration of your service. Your out-of-pocket costs will also vary depending on available rebates (see information below). Please contact us for a quote based on your service needs and eligibility for a rebate. Rebates: Medicare, private health and other rebates vary depending on the benefits you may qualify for and whether you have reached the Medicare Safety Net. As rebates are not intended to cover the whole cost of your service, there will usually be a gap fee to pay. Learn more about rebates here. Gap fee: Your gap fee is the difference between your service fee and any allowable rebate (e.g. Medicare or Private Health), and is your “out-of-pocket” expense. Your gap fee for Medicare services will count towards your Medicare Safety Net, which provides a 80-90% rebate on subsequent services (capped) (learn more about the safety net here). If you do not qualify for a rebate, the full service fee applies. Third party payments: In some instances, your fees may be fully or partially paid by a third party (e.g. employer, insurer, compensation scheme, agency), with prior agreement. Financial hardship: There are certain government schemes that fully fund psychological services for vulnerable and/or financially disadvantaged clients who qualify for those programs. These include the Brisbane MIND program and NDIS. We recommend you check if you qualify for those schemes. If not, we also offer Medicare bulk-billed appointments for financially disadvantaged clients (limited appointments available). To access bulk-billed services at Q-Psych, you must be unemployed and receiving Newstart Allowance or the Disability or Aged Pension (proof required). Please note that, consistent with other programs, our bulk-billed services are usually not available for clients with complex care needs and it is ultimately at the discretion of the treating psychologist whether bulk-billing is suitable or not to provide clients with the appropriate level of care they need. If you do not qualify for bulk-billing, but are experiencing temporary financial hardship, please advise your psychologist and they will discuss the possibility of a sliding-scale fee or alternative service arrangements with you. Please understand that bulk-billed or reduced-fee services must be limited and can not be guaranteed. Quotes: The cost of your chosen service/s and estimated gap fee (out-of-pocket expense) will be quoted prior to your first consultation. Quotes for assessments are provided in writing. Payments & Rebates: Fees are payable in full at the time of service (excluding third party providers). For your convenience, we process most government rebates (e.g. 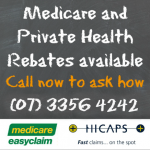 Medicare, DVA) and private health claims at the time of payment, for immediate reimbursement to you. Cancellation fees: We have a liberal cancellation policy (available here) and understand that circumstances can change. However, appointments that are missed or cancelled with insufficient notice will necessarily be charged the full fee of your booked service. Please contact us at your earliest convenience, if you are unable to attend your appointment. Wondering what your fees pay for? 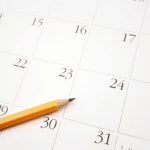 In addition to your session time with a psychologist with advanced training and in a comfortable setting, we perform out-of-session duties, such as session preparation, record keeping, writing letters to GPs and other treatment providers, scoring assessments, case-management and crisis-care, correspondence with clients and stakeholders, and administrative and other professional duties, for which we do not receive extra payment. The service fee provides for our time on these additional duties to ensure you receive a professional and ethical service. As we are private independent practitioners, we also personally incur operational costs for all appointments (including cancellations); fund our own mandatory professional training, supervision and resources; are responsible for our own insurances, superannuation, leave and taxes; and, in most cases, are still paying fees (e.g. HECS) associated with the eight years of full-time training we completed to gain advanced skills for the benefit of our clients. We also incur lost income when clients cancel or do not attend appointments. We are not paid employees and we do not receive any funding from government agencies. 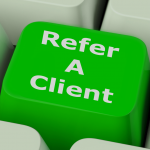 Consequently, we rely on the timely payment of client fees to cover our costs and losses and earn a sustainable income, so we may continue to provide quality psychology services to all clients. We thank you for your co-operation and understanding. To find out more or to obtain a quote, please call us today or fill out the form and click send. The staff at Q-Psych are ready to help.